Pamela started her warm February day like any other. She sent 4 of her 5 children off to school, surveyed the booth where she sold grain and meal, and then began working on turning sugar cane into sugar with two others. Suddenly, she was fighting for her life, struggling madly as first her shirt then her skirt and leg were pulled into the sugar cane crusher. Her co-workers ran off screaming. 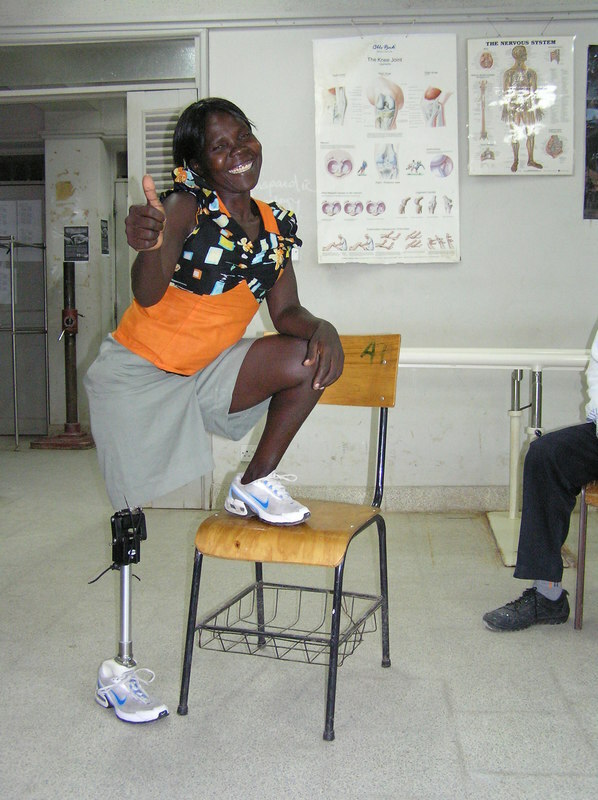 However, everything changed in April 2014 when she received the LIMBS prosthetic leg system. Even by the end of the first day of training, Pamela could walk almost by herself. She is determined to become independent again. She didn't even want to stop practicing to eat lunch! With each passing day she is walking better and hopes to reopen her booth selling rice and grains to the community and passers-by.